Help Documents - Version 5 Event Revenue StreamsHow do I set up the Prize Drawing tool? 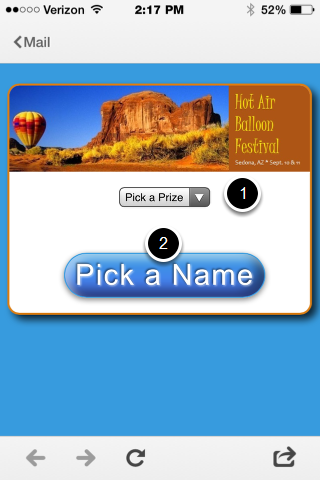 If your event has prizes to hand out, use this tool to load prizes and draw names. In order to draw names during the event, the device on which you are conducting the drawing will need internet access via Wi-Fi or 3G or 4G networks. The Prize Drawing Tool is located here. Use this field to send yourself, or anyone else, the Prize Drawing Tool's URL - Use this for testing. 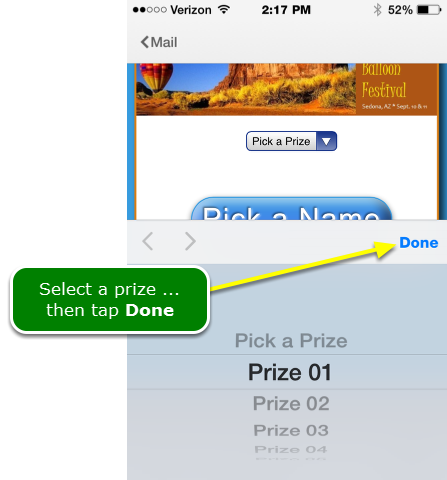 While testing, you can freely add and delete all prizes and all winners. When ready to send to the person conducting the drawing, delete all winners and make sure your prize list is correct. What does the emailed link message look like? Pick the prize first, then the name. 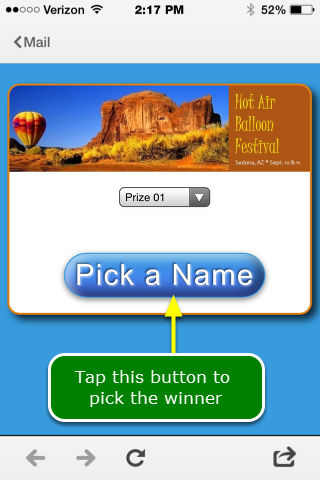 Tap the Pick a Prize dropdown menu. Announce the winner. It is saved automatically. Click the Continue button to make another pick. As winners are drawn, they accumulate at the bottom of the window with the most recent on top. How do I see the list of winners? 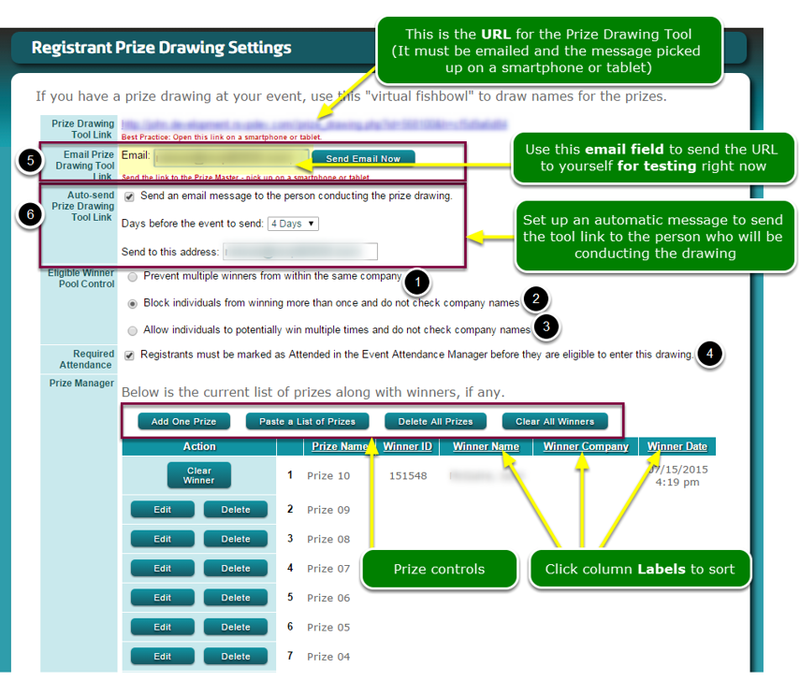 From the Prize Drawing Tool screen, click the Prize Drawing Tool Link to see all winners. 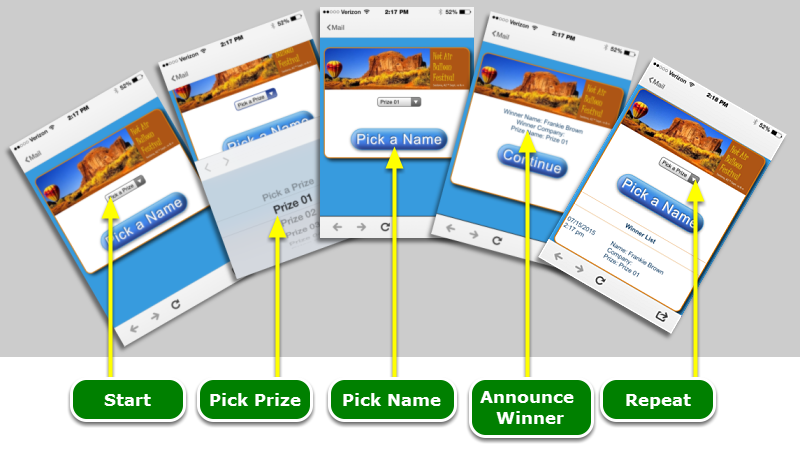 The winner list is also visible on your smartphone or tablet. However, there are no export options. Zoom: How do I see the list of winners? What does the Winner List look like? 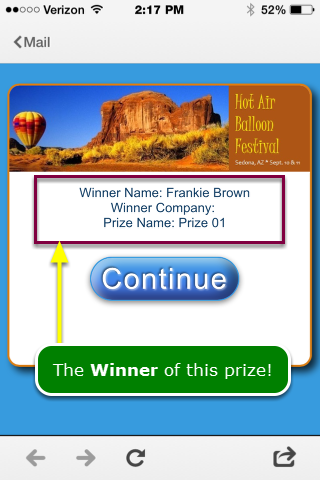 When you click the Prize Drawing Tool link on your computer, you will see the app's Winner List. How can I export the winner list? 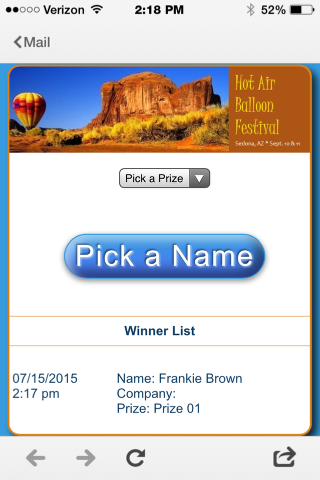 Click and drag to select all of the winners, copy them, and then paste them into a spreadsheet or other document. Zoom: What does the Winner List look like? How do I reset the tool (clear the list of winners)? Zoom: How do I reset the tool (clear the list of winners)? Prev: How do I add images to a sales item? 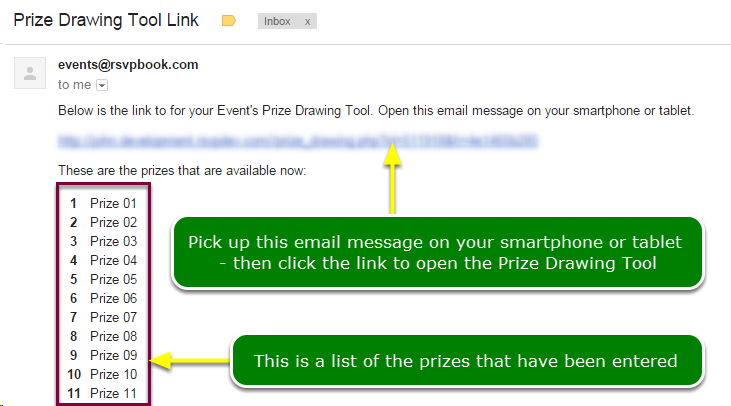 Next: Where is the Prize Drawing Tool?